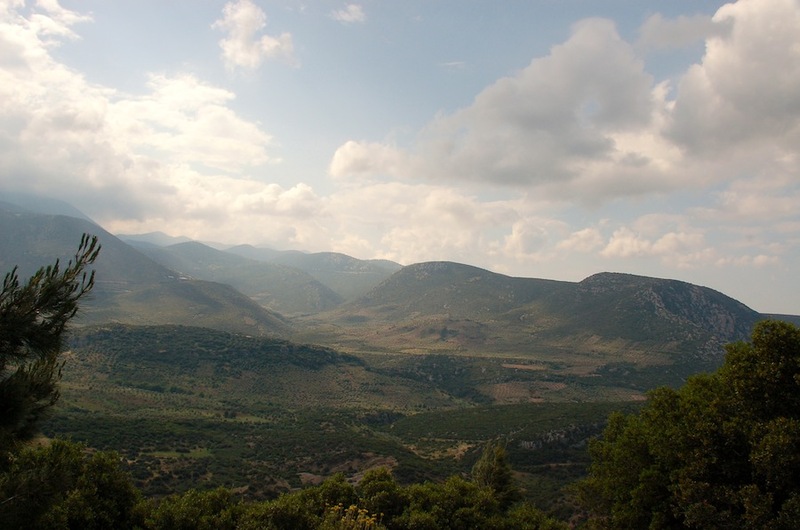 After three glorious days in Athens, we set our sights north for a day of travel– first to Hosios Loukas, and the ruins of Delphi. 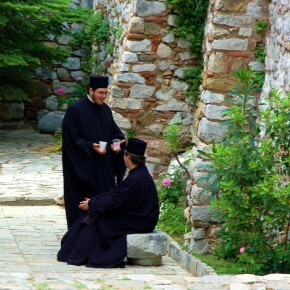 After a scenic mountain drive, we spent the morning visiting with the monks who tend the centuries-old monastery, learning the history of its architecture, art, and iconography. 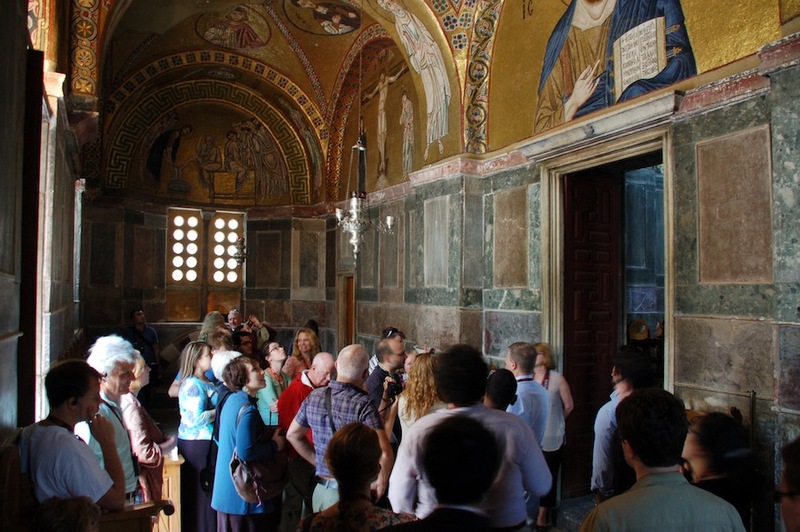 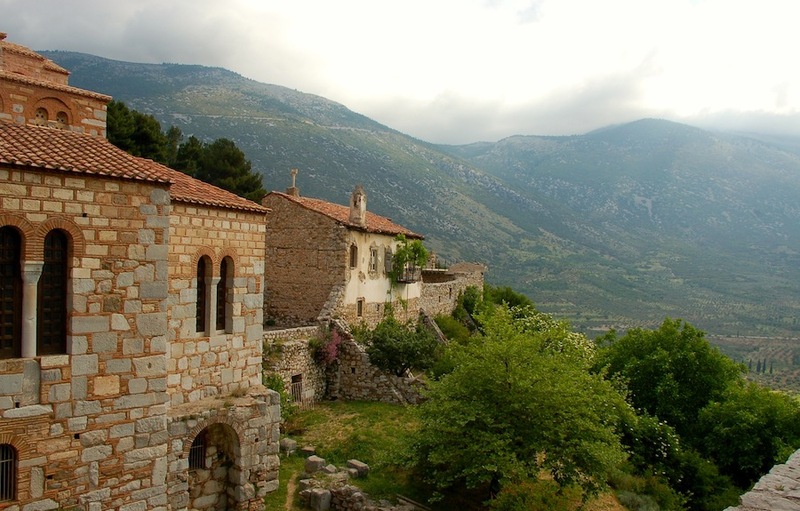 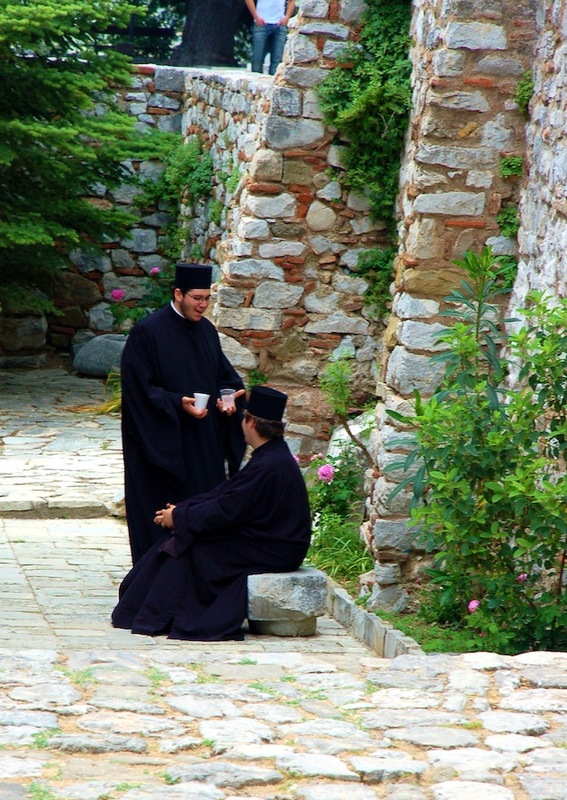 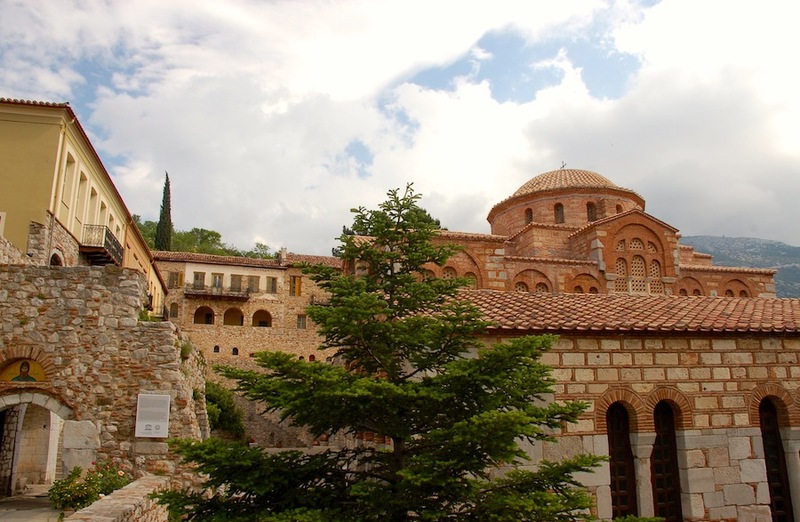 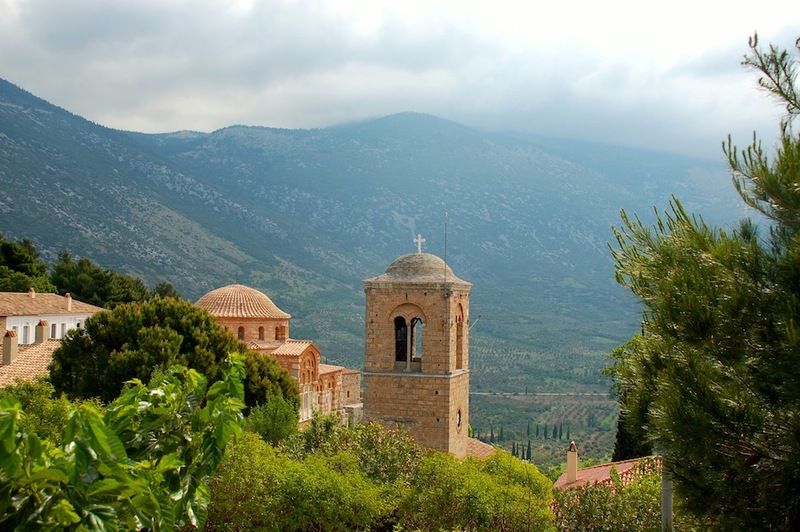 The monastery of Hosios Loukas is situated at a scenic site on the slopes of Mount Helicon. 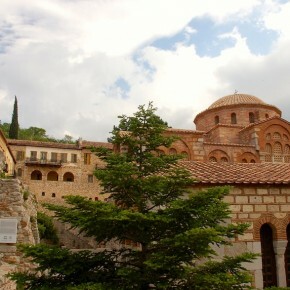 It was founded in the early 10th century by the hermit St. Luke whose relics are kept in the monastery to this day. 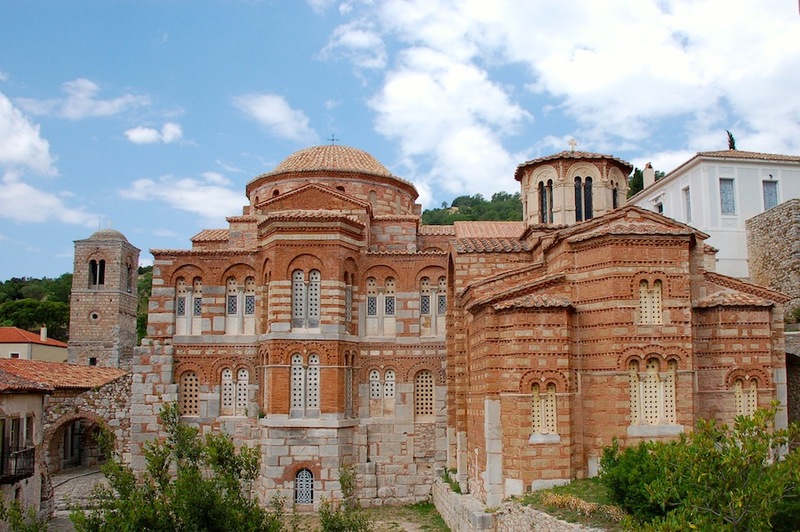 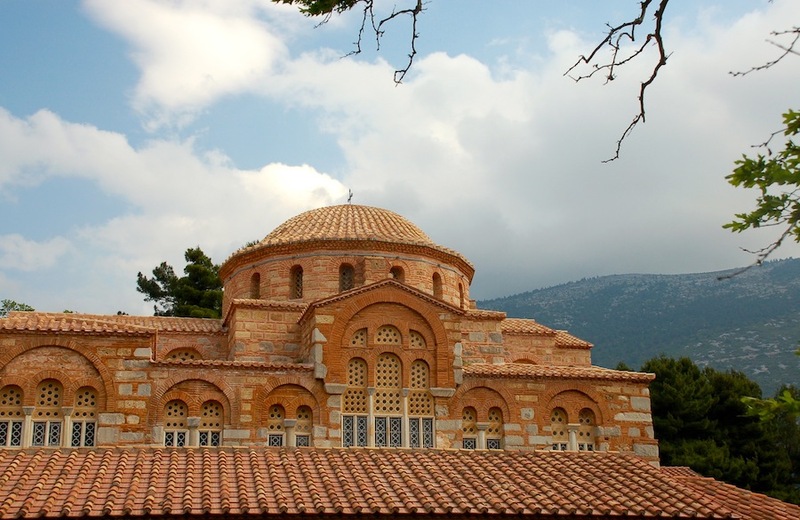 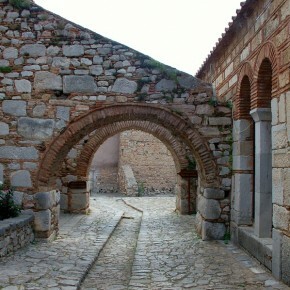 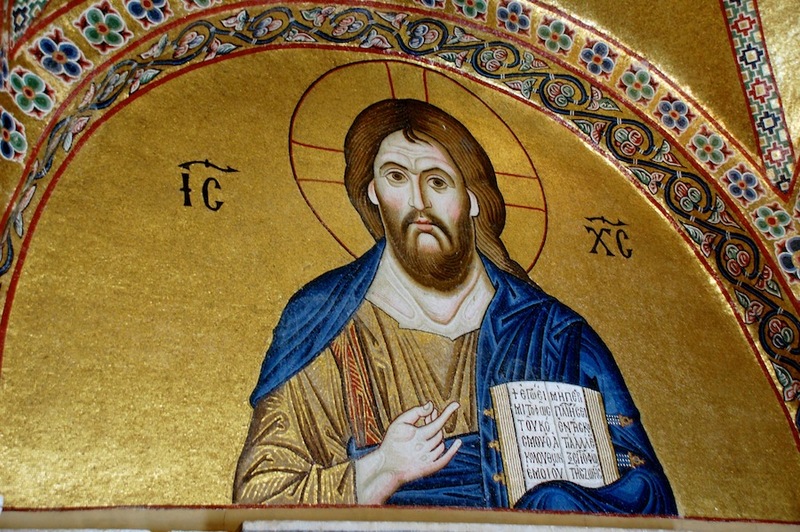 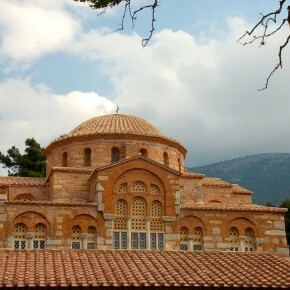 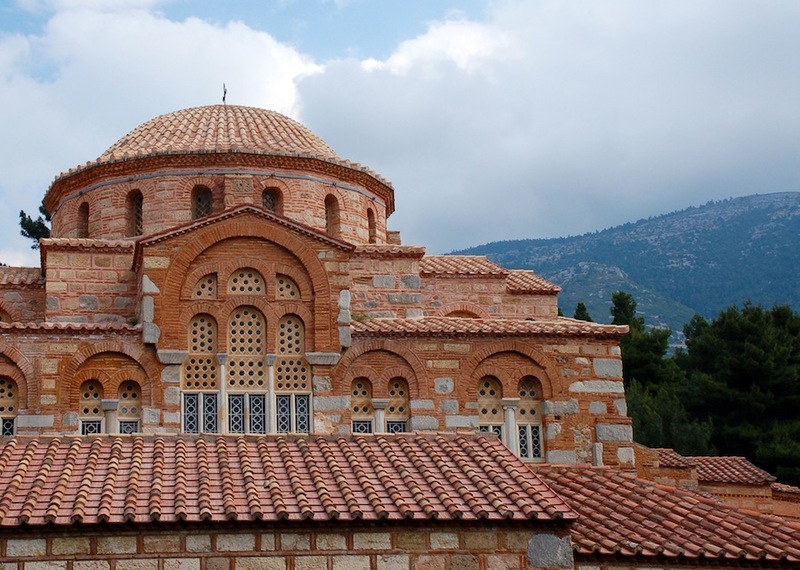 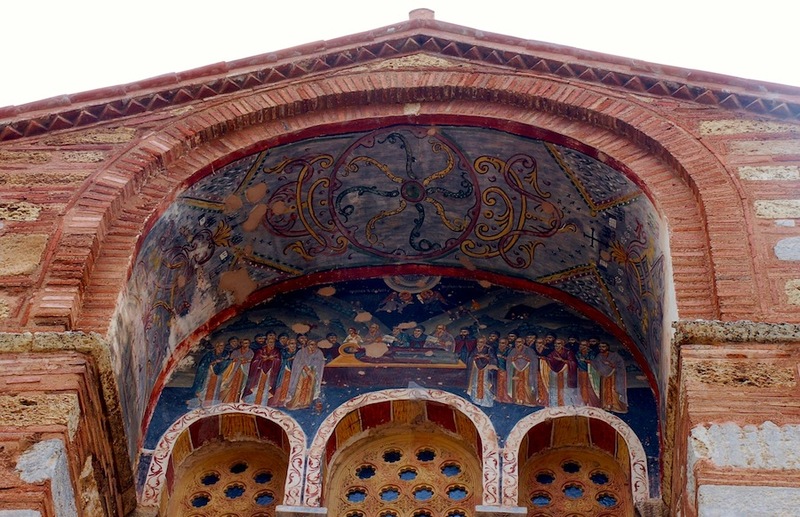 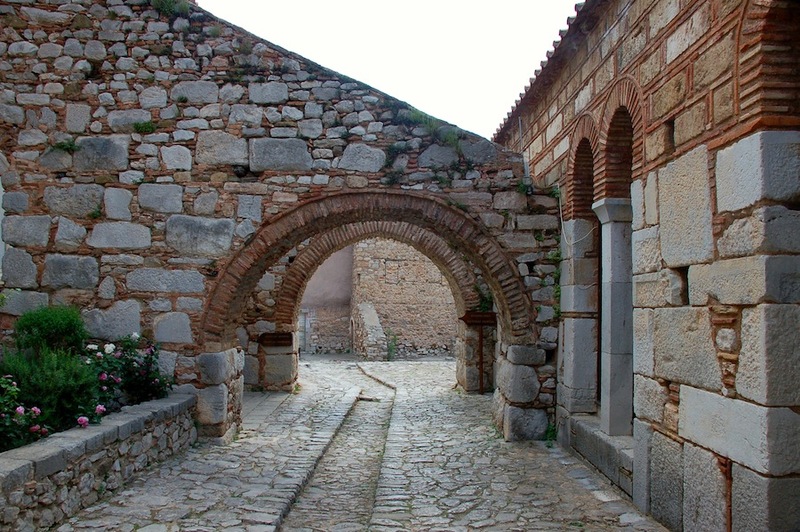 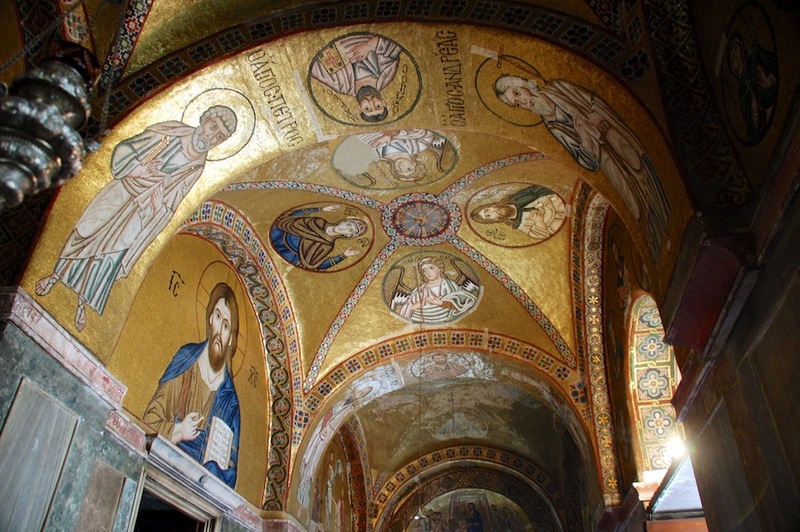 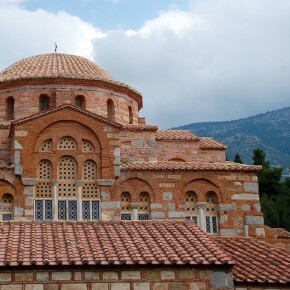 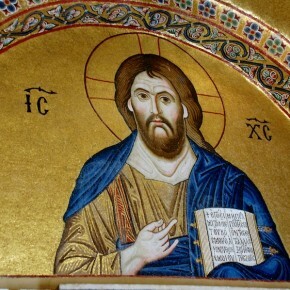 The Church of the Theotokos, the oldest in the complex, is the only church known with certainty to have been built in mainland Greece in the tenth century. 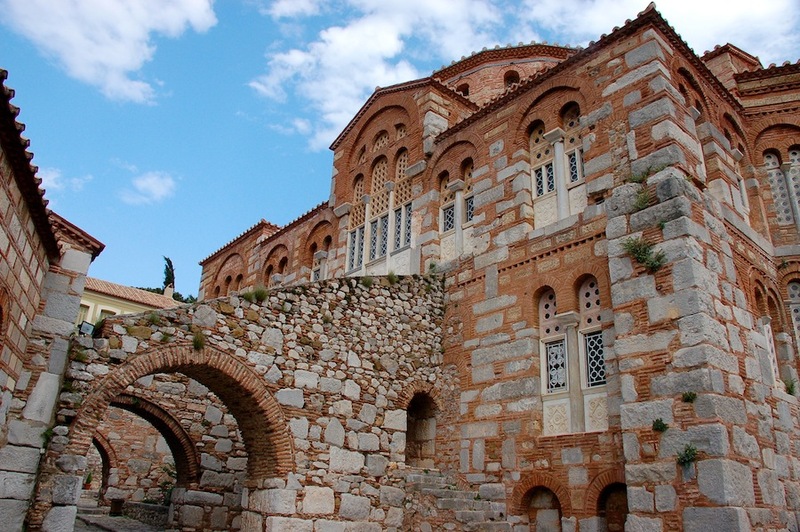 This centralized parallelogram‐shaped building is the oldest example of the cross‐in‐square type in the country; its plan closely follows that of Lips Monastery in Constantinople. 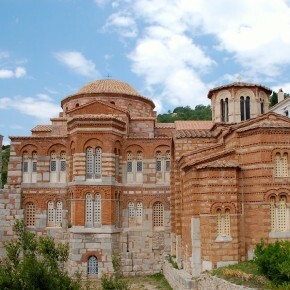 The Church of the Theotokos adjoins a larger church, the Katholikon, tentatively dated to 1011‐12. 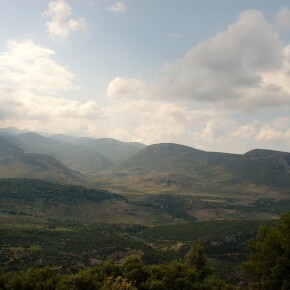 Daphiou in Attica and Nea Moni in Chios are the other two). 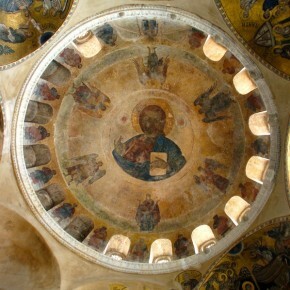 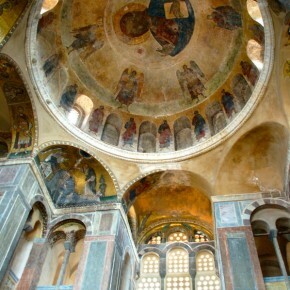 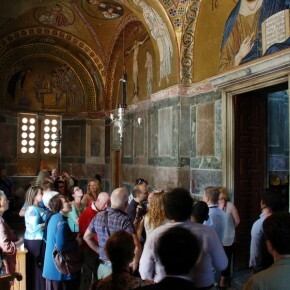 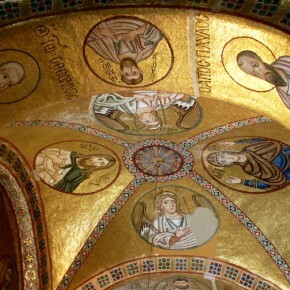 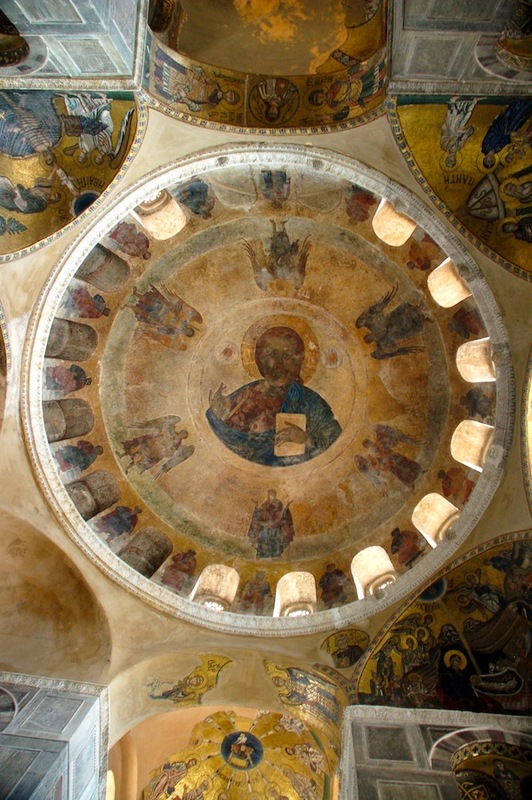 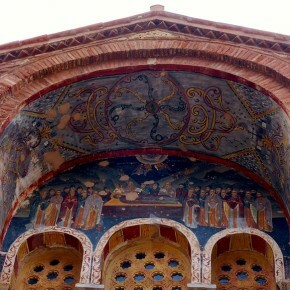 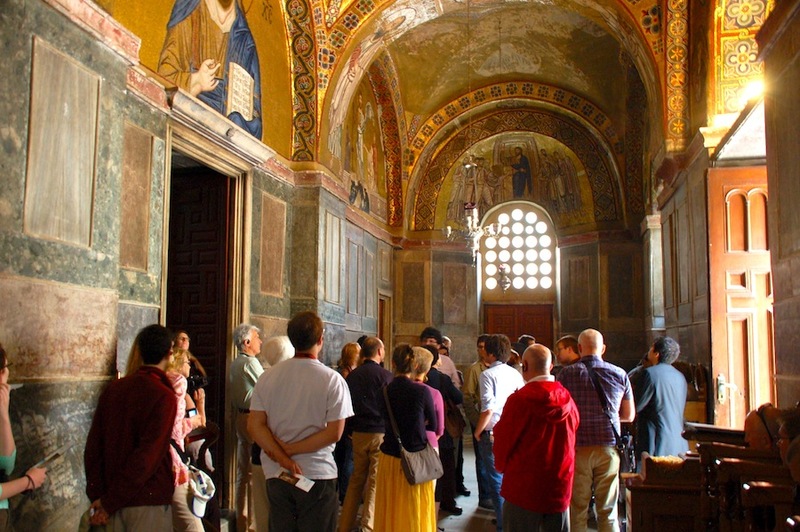 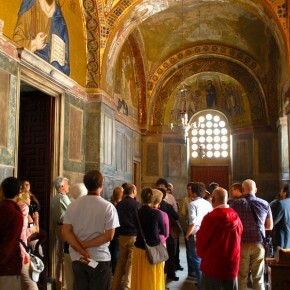 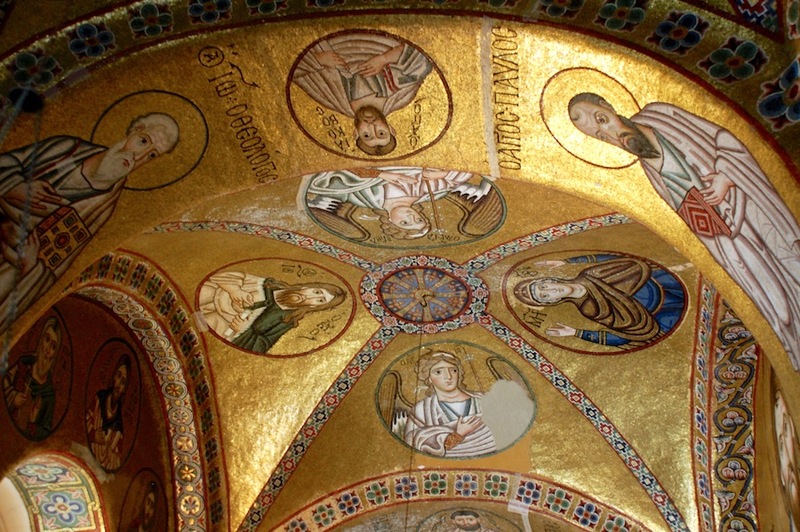 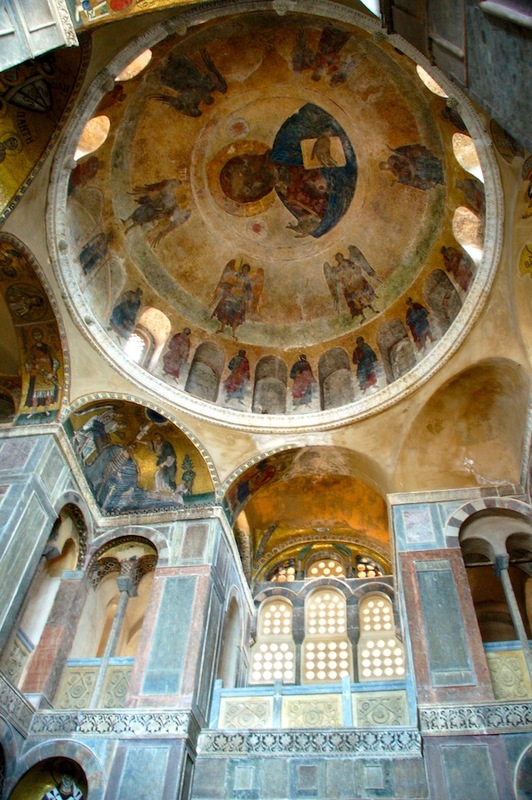 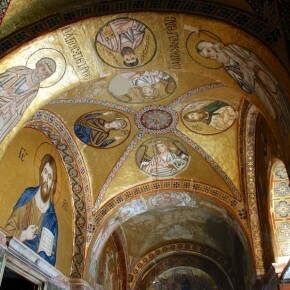 The Katholikon contains the best preserved complex of mosaics from the period of the Macedonian Renaissance. 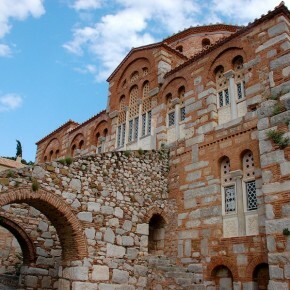 The main shrine of the monastery is the tomb of St. Luke, originally situated in the vault, but later placed at the juncture of the two churches.